Several seemingly-ambivalent statements raised early doubts about whether the pump jet system would definitely be used, or whether it remained an option. Some doubts still exist. Certainly the capability was an effective discriminator in the sales pitch by DCNS (now Naval Group) for its Shortfin Barracuda Block 1A, with the company’s then CEO for Australia Sean Costello stressing in early 2016 the significance of France’s readiness to transfer to Australia sovereign control and use of pumpjet propulsion technology resident only in France, the UK and the US. If selected, the Shortfin Barracuda would utilise a pumpjet propulsor that combined a shrouded rotor and a stator within a duct to significantly reduce the level of radiated noise and avoid cavitation, he said. The stealth and hydrodynamic performances of the system were of course classified, Costello understandably but unhelpfully added. Head of the Future Submarine project, Rear Admiral Greg Sammut, subsequently confirmed at Senate Estimates that a pumpjet system would be used, adding that some claims about the capability were misleading. This in essence rebutted comments on the subject made by former Collins-class commander Philip Stanford prior to selection of the Shortfin Barracuda. Stanford, then a senior member of the team representing the unsuccessful German bidder TKMS and its Type 216 design, noted that average speeds during the long transits required by Australian submarines were about 10 knots, albeit with moderately faster sprints interspersed with much slower speeds while snorkelling at periscope depth. 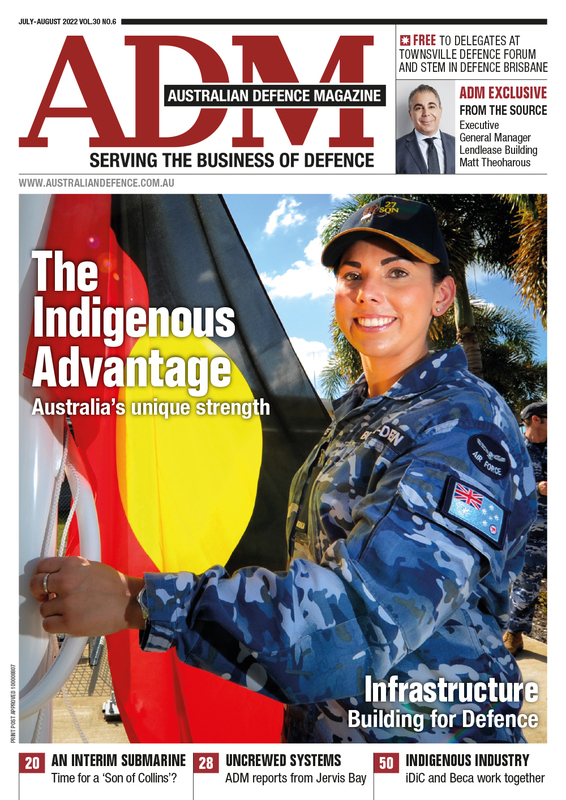 RADM Sammut’s intervention also contradicted several conclusions reached in a report entitled “Australia’s Future Submarine: Getting this Key Capability Right” produced by the independent consultancy Insight Economics. The report, headed by Michael Keating, a former head of the Australian Public Service and one-time Secretary of the Department of Prime Minister and Cabinet, suggested the choice of pumpjet propulsion created a technical risk for the future submarine. A pumpjet was much heavier than a propeller system and, unless Naval Group had made a breakthrough, used more energy at the speeds at which diesel-electric submarines generally travelled, the report said. Technical justification for these concerns was provided in a separate paper written by Aidan Morrison, managing director, with background in physics and engineering, of a defence consultancy. While acknowledging he had no access to classified material, Morrison noted that it was possible to confidently know some of the fundamental bounds and constraints within which hydrodynamics and turbomachinery operate. Although it was broadly acknowledged that propellers had superior efficiency at lower speeds but pumpjets might be more efficient at higher speeds, the precise point of cross-over seemed unclear in public debate, Morrison commented. “One informed commentator suggested that the crossover point was likely to be below or near the transit speed of the submarine, and that the pumpjet might offer enhanced range and endurance over the whole mission profile as a consequence,” his report said. However, no evidence had been found of a pumpjet of the type used on submarines ever being recommended as superior for overall efficiency. A lower acoustic signature was likely at higher speeds but improving a pumpjet’s propulsive efficiency at low speeds would necessarily involve trade-offs in terms of acoustic advantage. “In a comparison between two otherwise identical submarines, the one with the pumpjet will always have a lower dived endurance, a lower dived range, a worse indiscretion ratio, a lower overall endurance, and a lower overall range, than the one with a propeller,” the report postulated. “This will confer a substantial tactical and strategic advantage on the conventionally-propelled submarine in a very broad range of operational scenarios…. “The scale of the probable impact on range and endurance (of a pumpjet) is quite probably so substantial that it is difficult to see how such a performance penalty is consistent with the government’s stated aim of acquiring a regionally superior submarine”. Appearing as a private citizen, Morrison spoke to and presented his paper to the Senate Economics Reference Committee on 7 June while Brent Clark, now Senior Adviser to the Chairman, Naval Group Australia, was also in the committee room, waiting to give evidence. There, Morrison stated that an improvement of 50 per cent or more in dive range or endurance could be achieved by reverting from a pumpjet system to conventional propellers. Later offered the opportunity by the committee to respond to Morrison’s remarks, Clark declined to do so. 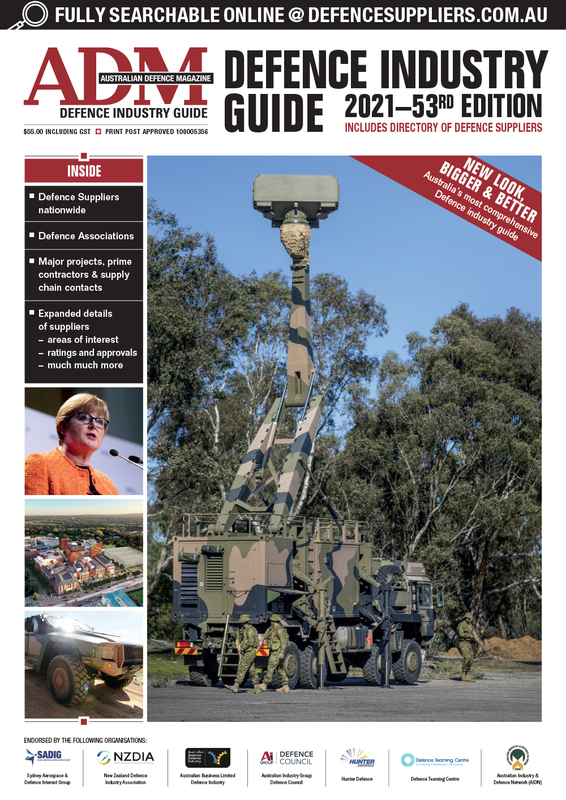 “The Australian government and the Australian Department of Defence obviously have access to classified research from the US Navy, the Royal Navy and the French Navy on this matter, and I don’t intend to get into a debate on this topic,” he declared. The question of propeller versus pump jet really comes down to the acoustic signature; a well-designed pump jet is considerably quieter than an equivalent propeller. In an ironic twist, the committee requested a rapid assessment of the Morrison paper from Defence’s Capability and Sustainment Group (CASG) – the body responsible for progressing the Future Submarine program as it stands - if necessary to be delivered at an in-camera briefing. This assessment did not appear to be included in the Committee’s report on the future of naval shipbuilding report released on 27 June. Although requests to speak with subject matter experts from CASG, the RAN and Naval Group were all unsuccessful, ADM did have the opportunity to discuss propellers, propulsors and Sea 1000 with Dr David Kershaw, chief of the Defence Science and Technology Group’s (DSTG’s) Maritime Division and undoubtedly one of the country’s best-informed experts on such matters. Dr Kershaw’s recent CV speaks for itself – head of the Torpedo Systems Group, head of the Submarine Combat Systems Group, Research Leader Submarine Systems and Sea 1000 Science and Technology adviser, Research Leader Undersea Command and Control, and Chief Maritime Division (in May 2016). Selecting and designing a propulsor depended on the specified application – ships tended to have big propellers, fast attack craft had water jets, and submarines traditionally used open propellers although pumpjets were now common on large nuclear submarines, Dr Kershaw pointed out. The criteria used in choosing between a pumpjet and a propeller involved thrust, efficiency, vibration, and acoustic signature, all driven by how the surface ship or submarine was to be operated. As explained by Dr Kershaw, there was a degree of misunderstanding concerning pumpjet design and performance. To propel a surface ship or submarine involved overcoming resistance to push the vessel through the water with a suitably-designed propulsor. Surface ships need to overcome wave-making resistance, which varies with speed. Their propulsors therefore need to be optimised for the required operating speed; when operating at off-design speeds, efficiency drops off. Since submerged submarines do not have to overcome wave resistance, the efficiency of a propulsor can be considered independent of speed and the aim is to design an efficient propulsor. In other words, selecting the propulsor for a submarine is driven by the types of mission it is expected to undertake and where the boat will operate, Dr Kershaw stated. “The question of propeller versus pump jet really comes down to the acoustic signature; a well-designed pump jet is considerably quieter than an equivalent propeller,” he said. “One of the advantages of a well-designed pump jet is that it can smooth out the water flow that is coming off the back of a submarine before the flow hits the moving rotor and there’s less unsteady flow, and thus less noise. The size of the Future Submarine means a pumpjet is a real game changer for optimising the performance of the submarine in its intended role. Echoing RADM Sammut, Dr Kershaw stressed that the pumpjet on a submarine must be designed in conjunction with the hullform to which it was to be attached. “One of the issues with pumpjets and the reason they’re not used on diesel-electric submarines is they’re much heavier than a conventional propeller, although they have a smaller diameter. Although pump jet propulsion would be new to the RAN, the technology was well-known to DSTG. “We’ve invested heavily in our hydrodynamics and hydroacoustics program over the past 20 years and this is includes the computational models as well as experimental facilities that confirm modelling results,” Dr Kershaw said to ADM.
“We’ve been able to develop our analysis on a generic pumpjet design and thus confirm our understanding of pumpjet performance; you basically build it up from first principles. It was worth noting, however, that modern pumpjets were primarily employed on military submarines and torpedoes and information was very limited and tightly held, making it difficult to review performance predictions. “DST though, is in the position where we can access certain privileged information, so we can get validation of our analysis capabilities,” Dr Kershaw noted. Pumpjet design had advanced over many years with a particular focus on the characteristics of all the components, although much of that was classified. Some propellers were highly specialised and highly complex. Pump jets had complexities in other aspects but the moving rotor was not as complex as a normal propeller, benefitting sustainment. So will pump jet technology definitely be used for the Future Submarine? “That is what is currently in the design and that’s what a lot of our science and technology program is about; having the capability to do the independent analysis on the technologies and capabilities planned for the Future Submarine, including the pump jet program,” Dr Kershaw said to ADM. Discussions were currently underway with Naval Group and the French government regarding closer collaboration on a range of technologies and this would include pump jets, Dr Kershaw disclosed. The program was still being worked on, and on the Australian side would involve a government-only team to comply with French security regulations. “One thing I would like to emphasis is that Australia’s geographic circumstances require a larger conventional submarine than those currently produced for export to other parts of the world. The size of the Future Submarine means a pumpjet is a real game changer for optimising the performance of the submarine in its intended role, and ensuring regional superiority in undersea warfare,” Dr Kershaw concluded. Should pumpjet propulsion have already been selected for the Future Submarine while assessments are still underway, it’s to be hoped a robust albeit necessarily unclassified explanation will be forthcoming sooner rather than later to allay any lingering concerns regarding the system’s anticipated performance in Australian service. Much like the F-35 stealth debate, the lack of true performance characteristics thanks to inevitable classified nature of the technical data make a true assessment for those outside the tent difficult. This article first appeared in the August 2018 edition of ADM.